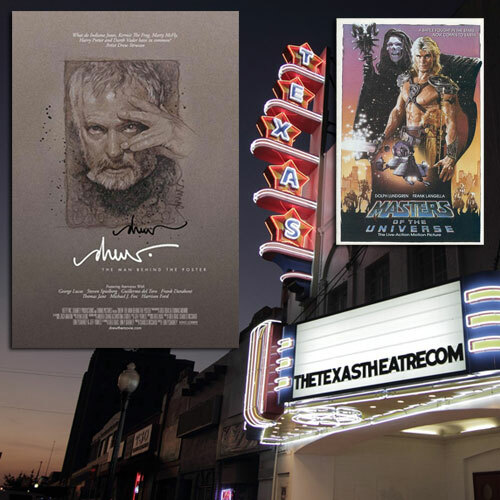 See DREW: THE MAN BEHIND THE POSTER Friday at Texas Theatre, win a signed Struzan poster! 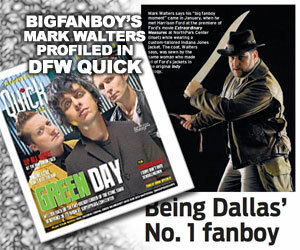 Okay, the headline should say you MIGHT win a signed Struzan poster, but if you live in the Dallas or Oak Cliff area you really should come by the Texas Theatre on Friday night and join us for a special showing of the new documentary DREW: THE MAN BEHIND THE POSTER, which focuses on legendary movie poster artist Drew Struzan. And what’s this? They’re showing MASTERS OF THE UNIVERSE right after?!? Drew Struzan has been responsible for some of the most iconic posters in cinema history, including campaigns for BACK TO THE FUTURE, INDIANA JONES, STAR WARS, POLICE ACADEMY and more. 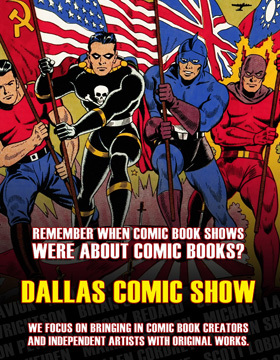 The Texas Theatre is the only place in town you can see this awesome new documentary. As a very special treat there will be a poster swap going on before the 7pm show starts, where movie poster collectors will have rare original one-sheets for sale or trade, plus we’ll be there giving some posters away to all who attend. You could come watch the movie in classic fashion, and maybe pick up a cool movie poster to take home! The Texas Theatre is a fantastic repertory cinema house, but they occasionally show first run features as well. 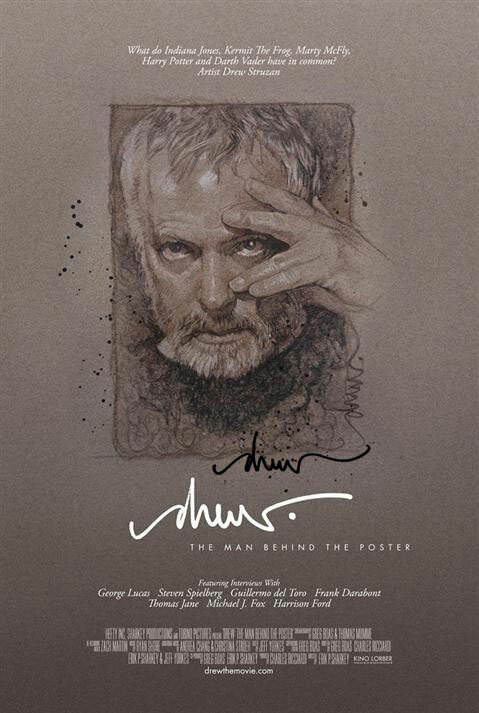 One of the special things we’re doing to celebrate DREW: THE MAN BEHIND THE POSTER is offering a chance to win a signed full-size poster from the film, autographed by Drew Struzan himself! You don’t have to do anything special, just buy yourself a ticket for the 7:00pm show (and if you’re so inclined please stick around for MASTERS OF THE UNIVERSE at 9:15pm on Friday (August 23) and look for us in the lobby – we’ll be giving away some mini-posters and participating in the poster swap before the 7pm show. Come join us Friday night for all the fun. Each person who comes will be given a blue ticket which will enter them in a drawing to win the signed Drew poster – you must purchase a ticket for the 7pm show on Friday to have a chance to win. A few notes – if you’ve never been to the Texas Theatre, this is a great place to see movies in a classic environment. Painstakingly restored by the fine folks at Aviation Cinemas, the main house features an impressive 650 seats. Perhaps best known in history as the location where Lee Harvey Oswald was arrested, you’ll immediately feel the nostalgia upon entering the doors of this stylish building. The Texas Theatre also has a full bar and plenty of lounge seating, which is a great place to have a drink and talk about the film you’re about to see… or just saw! We’ll be hosting the Friday 7pm showing of DREW: THE MAN BEHIND THE POSTER on August 23.